Jerry Seinfeld’s sitcom is a mainstay at the top of critics’ lists for the best television shows of all time, and since it ended in 1998, it has brought in over $US3 billion in revenue from syndication deals. But instead of becoming a relic of the past, 60-year-old Seinfeld has remained eminently relevant. He was the top-paid comedian last year, bringing in $US27 million from his comedy tours. His web show “Comedians in Cars Getting Coffee” has had tens of millions of viewers on streaming service Crackle, and the first episode of the new season has been the series’ most popular episode yet. 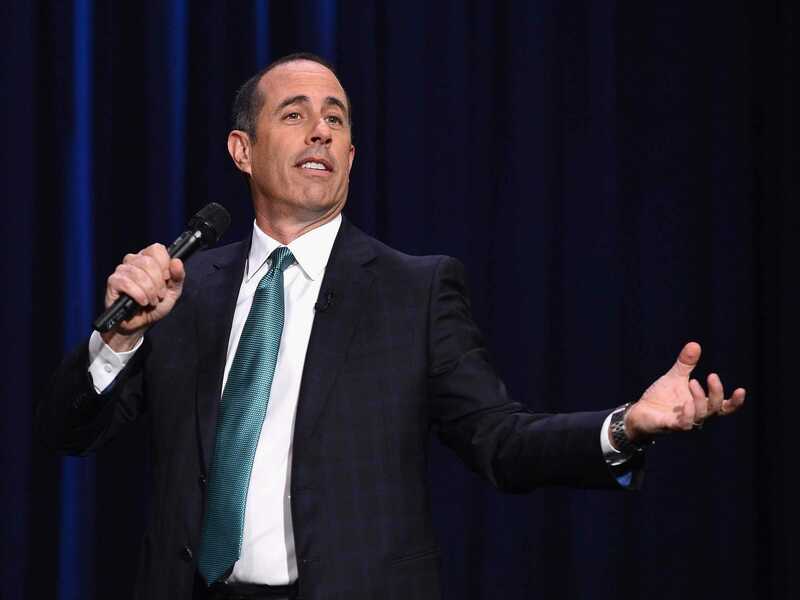 In a recent interview for NBC Nightly News, Brian Williams says that it’s surprising to see that Seinfeld has stuck to his roots and continues to test out material at midnight shows in small clubs. Seinfeld tells Williams it taps into the way he sees success. “If you’re more interested in what you have achieved or what your financial position enables you to do, then that thing that got you those things — you’re screwed. In my opinion, you’re screwed,” he says. The reason he’s remained so consistent for so long, he explains, is that he’s kept himself humble and looking forward. His focus on keeping himself motivated is apparent even in his morning routine. In an interview with Alec Baldwin for Baldwin’s podcast earlier this year, Seinfeld explains that he’s not one to keep hitting the snooze button. When it’s time to get up, he draws up the shades, turns on sports radio, and splashes his face with cold water. And though he now loves getting coffee with friends, he tells Williams, he’s been a late convert to caffeine. He spent the majority of his career functioning without it. The key? “Time! You eventually wake up!” Seinfeld says, laughing. If he got tired, he just powered through it, and he doesn’t know why others can’t do the same. “People say ‘If I don’t have my coffee I can’t get up. I feel groggy.’ Well, you just got up!” he says. You can watch the full interview with Williams at NBC.